Facebook Ads are no longer an option for your business. Facebook Ads are Awesome! Want to know why…? Facebook is getting bigger and bigger. The price of the stock was under $30 as recorded on May 25, 2013. Its stock price is now well over $180 as recorded on May 23, 2018, and its stock price is expected to further increase in the future. But where does their revenue come from? It’s Ad platform. Currently FB is by far the most popular social media platform in the world today. According to the report, published by the Statistica, monthly active users is now over 2.18 billion. Just imagine the potential reach. Not only does it have billions of monthly active users, it also has huge storage of information on its users. Information is power. You can bring tons of targeted traffic to your landing page if you get your Facebook marketing strategy right. There are many advertisers, who are getting a huge return on investment from their ad campaigns. The organic reach on pages pages has been decreasing quickly. The recent algorithm changes made has further hammered the organic reach of pages. What should you do now? Should you spend money on traditional ads? NO. The best idea is to allocate some money for Facebook ads and get to work. There are HUNDREDS of reasons to use Ads. Here are some of the top reasons to spend money today. Believe me… it’s worth spending your precious time and money TODAY. Without further ado, let us check out the reasons to invest! Before deciding to spend on ads, it is important to ensure that you can reach your audience via that platform. Don’t worry about whether your audience is on Facebook or not. This social media platform has over 2 billion monthly active users from all over the world. Your audience IS on Facebook and the only issue is the ways to reach out to them on Facebook. Facebook doesn’t just collect the information of their users for storing it on their server. It allows the advertisers to utilize the collected information to reach out to their audience. 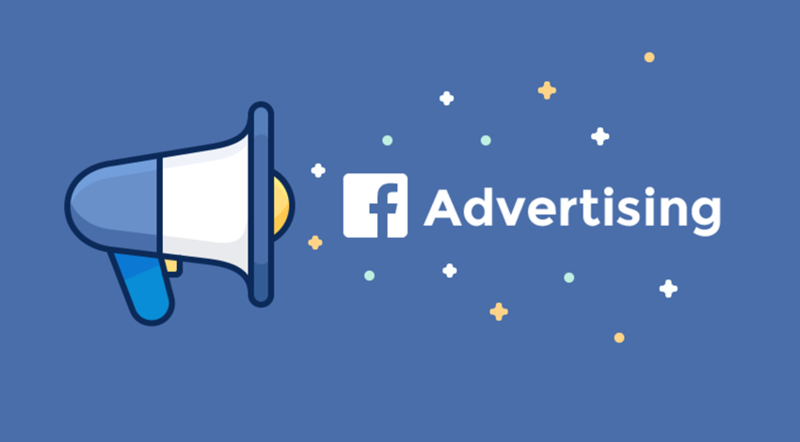 With exceptional targeting capabilities of Facebook Ads, you can reach out to your audience in no time (if you know your audience). It’s possible to target the people based on their interests, age, gender, behaviour, connections, demographics, and more. There is an advanced targeting option offered now, and i.e. Lookalike audience. Here is the gist. You can reach out to your audience if you know how to use the targeting capabilities of Facebook Ads. Small businesses have limited ad budget, which makes it impossible for them to reach out to traditional advertising platforms. Thanks to Facebook, small businesses can now reach out to their audience without spending hundreds of thousands of dollars. You can set as little as $5 a day budget and reach out to more than 1,000 people via their ad platform. How cool is that? You can’t even imagine advertising with $5 on traditional advertising platforms. Facebook is investing heavily in artificial intelligence (AI). Today, you can use various AI tools to enhance your ad performance. Click this link to see a list of AI-powered Ad tools that you can use today. There is hundreds of others but here a few more and here is the list. It is EXTREMELY cheap to reach out to your audience via Ads and it’s highly scalable. Consistently promoting valuable posts will entice people to share your posts. This will amplify your reach. You would have seen hundreds of viral posts on Facebook, getting hundreds of thousands of likes and shares. If you manage to create an alluring post, there is a very good chance of your post being viral as well. The amazing targeting capability of Facebook is not the only thing that is available to advertisers. They have come out with amazing new features, such as retargeting, live videos, and others that can help advertisers to get more engagement on their posts. The study has shown that an average Facebook user watches live videos 3X longer than normal videos. Talking about retargeting, the survey conducted by Leadpages found that 3 out of 4 people actually notice retargeted ads. Live videos will help you get more engagement while retargeting features will help you get more leads and customers. Over 70% of the Facebook users use their smartphone to access the platform. Facebooks Call buttons make it easier for advertisers to capture leads from mobile users. There is a high chance of users clicking “Call Now” button after seeing an ad on their Smartphone. Once they do that, you capture the lead. Are you still in doubt? After going through the success stories linked below about the power of ads, you will no longer be in doubt. Check out the success stories about Facebook Ads. Whether you are a small business or a relatively larger business, you can harness the power TODAY. You can see businesses of all sizes reaping the benefits and there’s no reason why you can’t as well. Start advertising your products/services now via Facebook. Gary Vaynerchuck, Founder of VaynerMedia, publicly confessed that Facebook advertising is the best advertising product in the world today. He fully harnessed the power of Facebook advertising. He also believes that social media advertising is underpriced. Currently, there is more than 5 million advertisers, and this no. is increasing at a steady pace. Be apart of the community and spend some money on ads. NEED HELP? Don’t know where to start? We recently made one of our clients ads go viral. It saw 242,000 people, had 5,000+ comments and 2000+ shares. Book your Facebook Ad audit today.